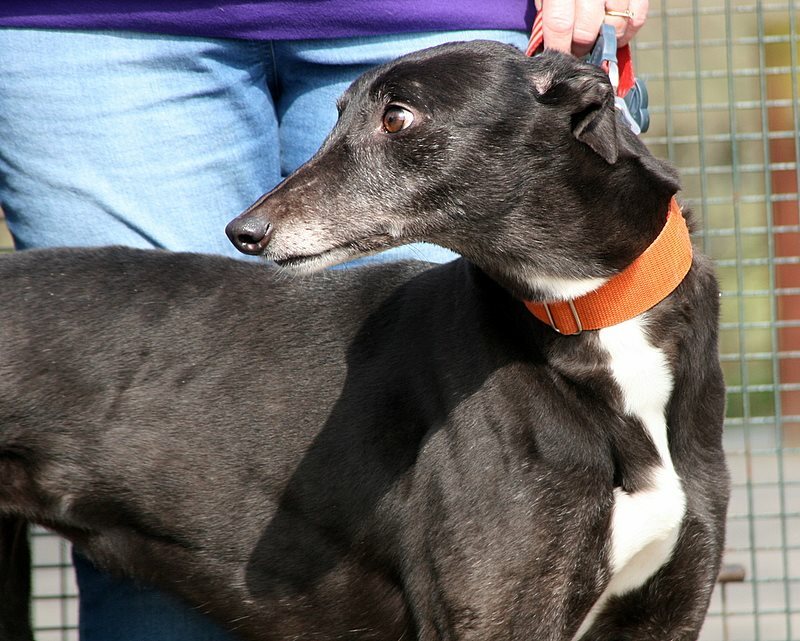 Sable is the most sweet natured 6 year old Greyhound girl who was found wandering in the most horrendous condition on a back road in Lincolnshire. When Sable landed with us she was bald from flea allergies, with hugely over grown nails, broken toes and was so shut down and upset it was heartbreaking. 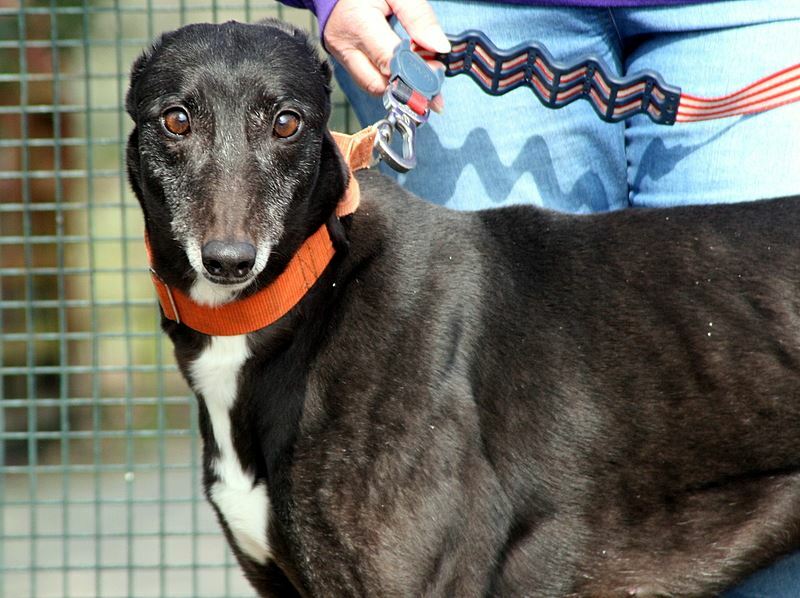 Now though she is doing really well and is the most happy go lucky little girl you can meet. All her fur is healed back up now and as she came promptly into season when landing is due to be spayed this next week before rehoming. Whilst under anaesthesia her toe will be rechecked and the nails will get a much better clip. We have not been able to knock them right back up until this point incase we forced her to weight bare wrong and re broke the fractures. 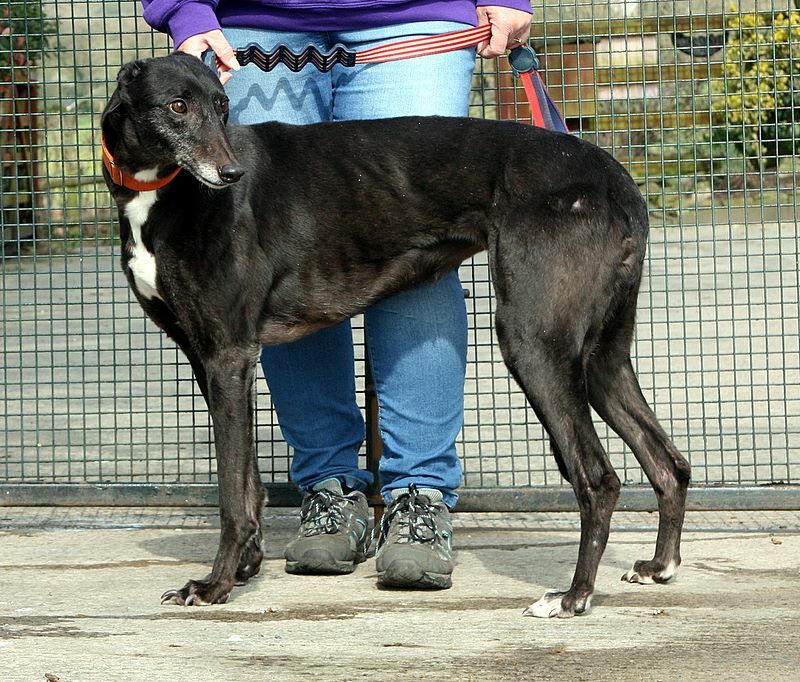 Sable now enjoys her walks and has been off lead in the paddock with no problems. 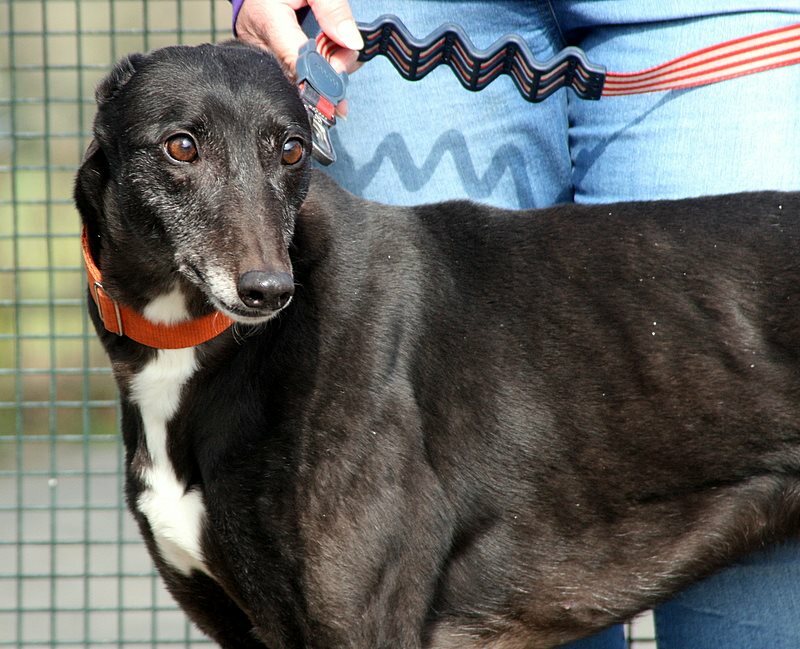 Sable is a little insecure still after all she has been through and does adore her people but equally adores other dogs. 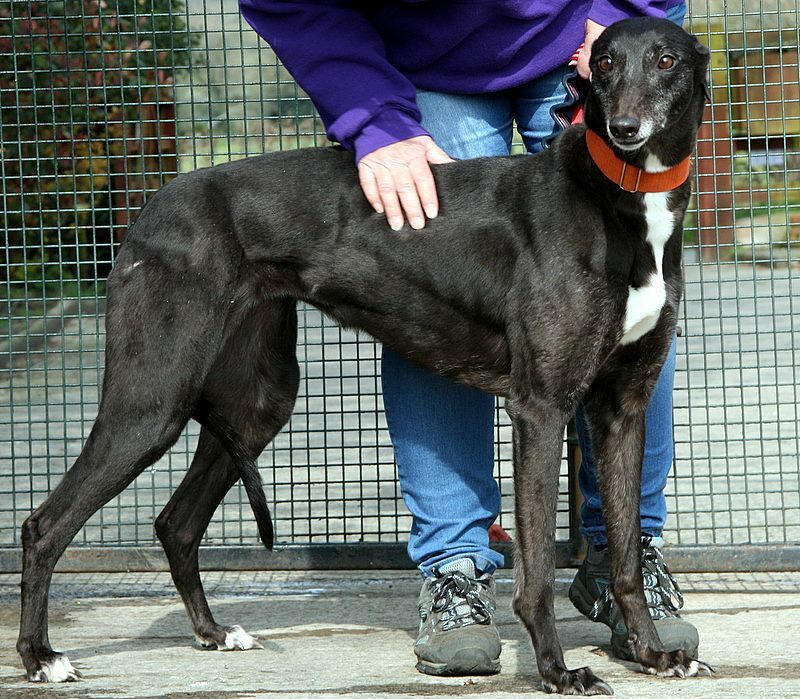 We do feel that she needs to be rehomed with at least one other dog for company as she most definitely gets her confidence from seeing them and we feel could be upset left if rehomed as an only dog. 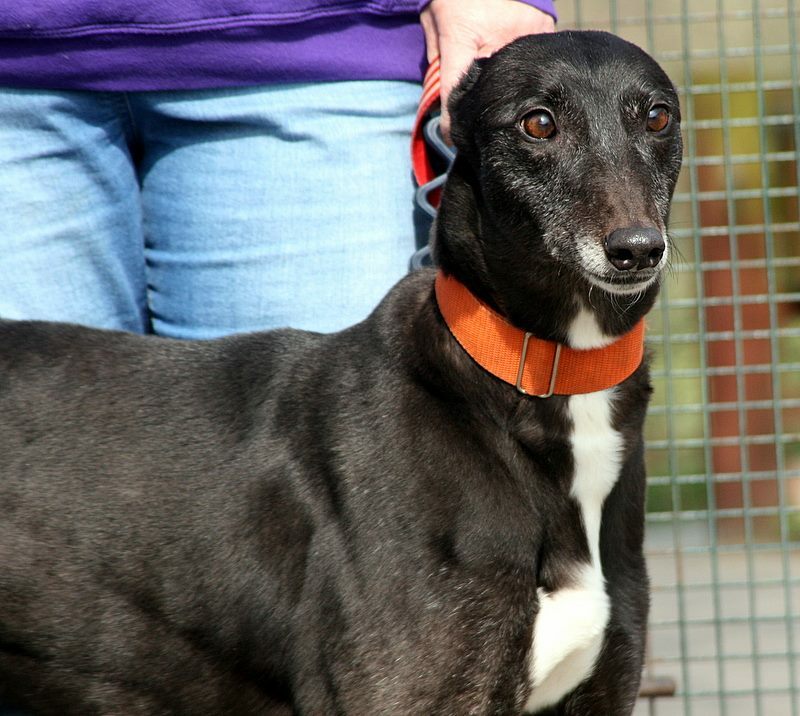 Sable walks like a dream on lead, works hard to keep her kennel clean and can be rehomed with dog savy children 6 years and upwards but no cats. She also travels well and just settles to sleep in the care. 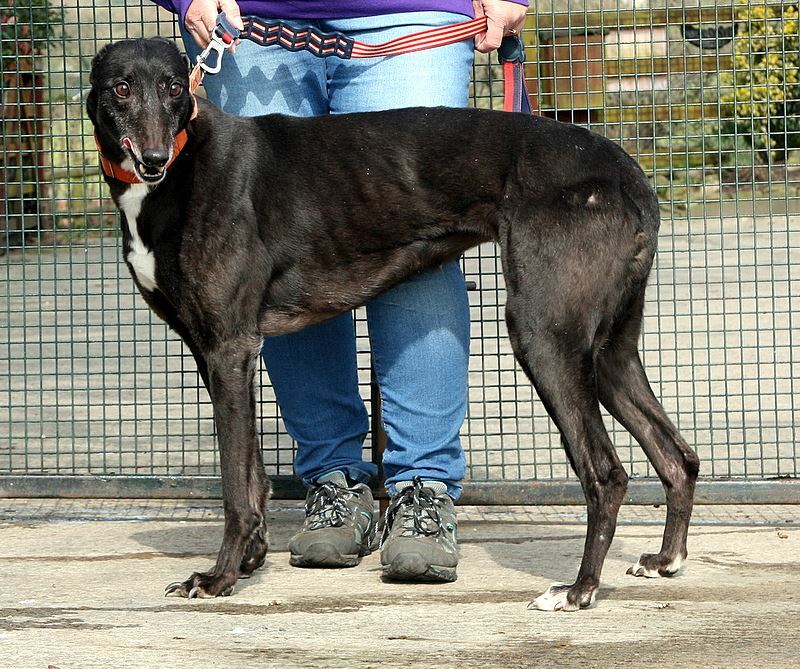 Sable is vaccinated, kc vaccinated, de flead, de wormed, microchipped and will be spayed and receive a dental before rehoming. She will also be rehomed with one months free insurance from Pet Plan.